Bought in 2011 first oil change was down oil back to dealership and the service guy told me GM allows 1 Quart oil every 5000 kms..4 years later burning more oil put me on oil consumption test 1000 kms later added a quart or more.. Following day started stalling. After a few phone calls they decide to do pistons rings update computer timing chain. Picked it up first set of lights stalled Fourth set of lights stalled Pulled in driveway engine light comes on. 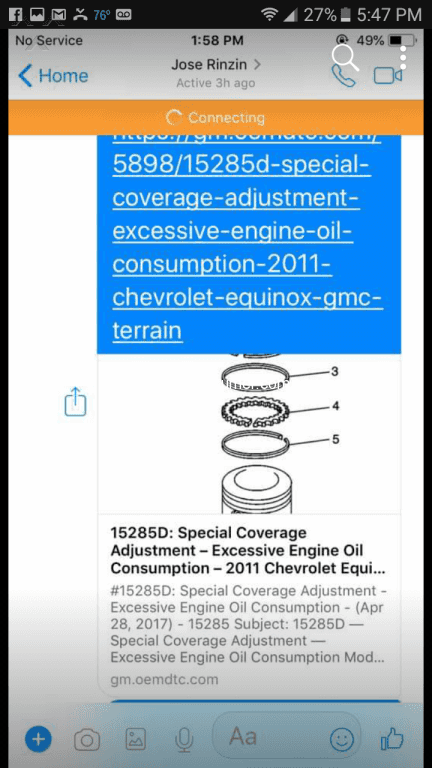 Called GM was told the updated computer may not be compatable with the old sensors or wiring.Of course this will be under warranty. No he says..Ill be at the dealership bright eyed and bushy tailed in morning.. When this first occurred my car was under warranty and they fixed it. Now that it is out of warranty I was told it was customer misuse. In other words its my fault. It was not my fault under warranty but is now. Go figure. No wonder they stopped making the Gran Am line of automobiles. Just for information, I have had these repairs also: two fuel pumps, all four electric windows repaired (some twice), windshield wipers were sticking not moving, rear section light assembly leaked water and had to be replaced, radio digital display went out, outside molding around windshield replace for curling. No more GM cars for me. I had a whining noise in my 2010 Buick. I discussed this with Heritage Buick,11234 Reisterstown Rd. Owings Mills Md. 21117 on four occasions. They refused to honor the warranty. In addition they would not return my unrepaired auto unless I gave them $500. I think this is extortion! The General Motors area rep.was informed and so was Buick customer service. They were of no help. A Heritage owner listened to my complaint and still wanted the $500. I would encourage all potential customers to steer clear of all Heritage Mile One dealerships. General Motors seems to automatically support dealerships even when they are completely in the wrong. 2010 Buick enclave power steering making terrible noise. You can hear it ,inside and outside vehicle. Loud noise. 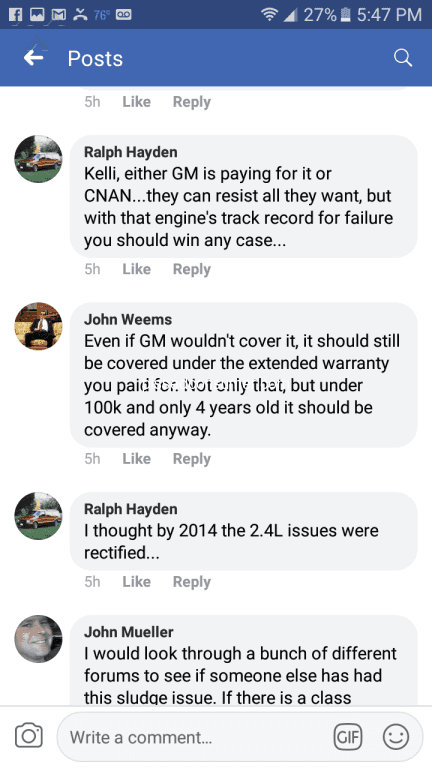 Under factory warranty,but guess what, GM, denies warranty. Doesn't cover wear and tear they say. What a rip off !!! Hey, isn't this the company that taxpayers bailed out a few years ago ? GM cars and their service are *** !! !